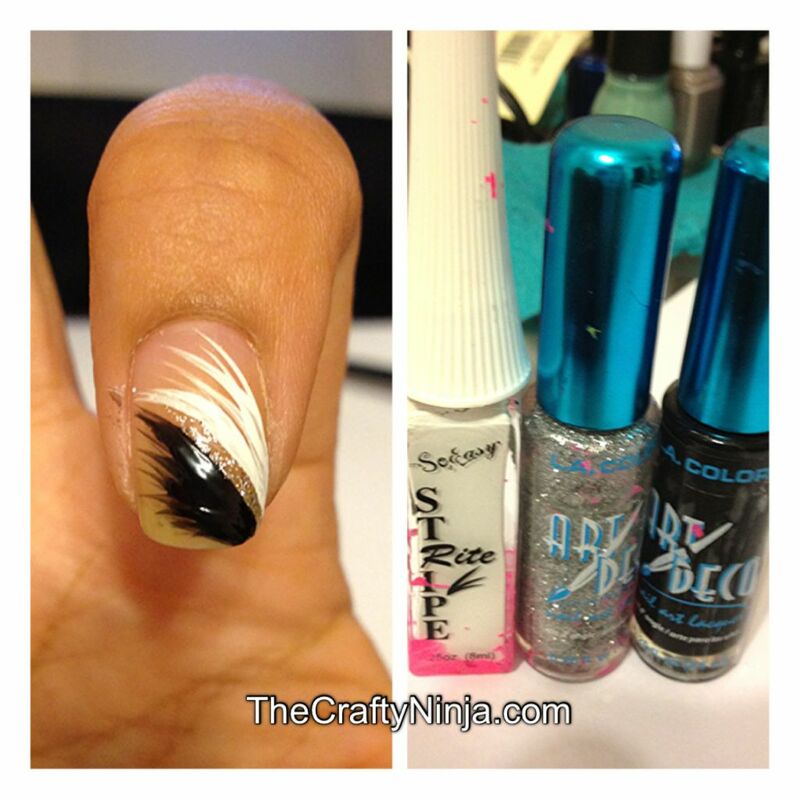 Today’s nail art tutorial is a simple black and white design. Here are two looks I created using a real feather and one that I painted. Supplies needed: Finger Paints Base Coat, Finger Paints Top Coat, LA Colors Art Deco Polishes, Cuticle Cutters, Feather, and Scissors. 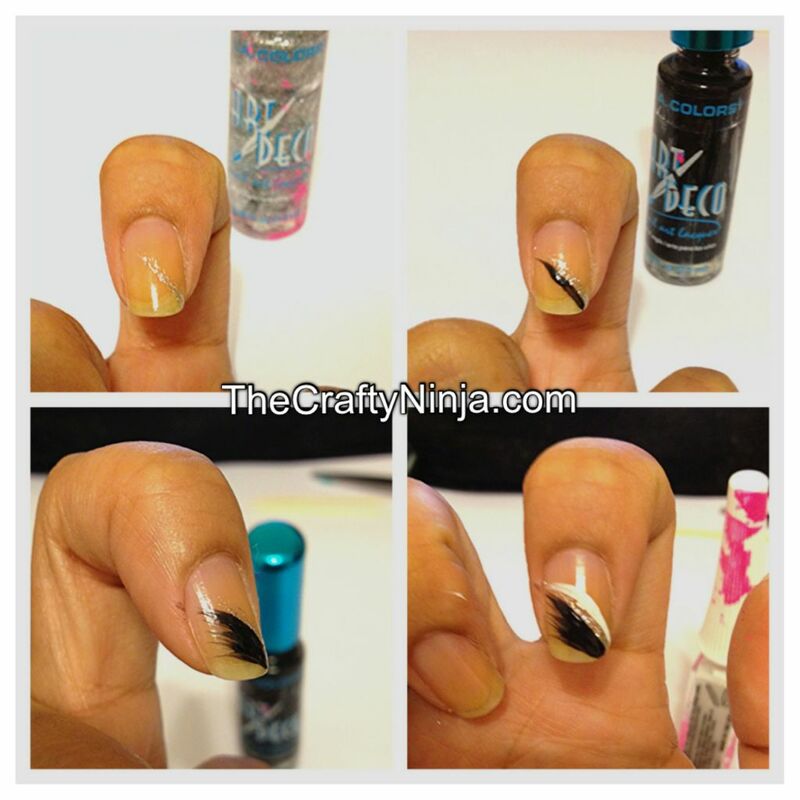 To create this feather nail look I first used a white feather, you can use any color and can purchase at any crafts store. I first painted my nail with black polish. Then I put a clear top coat and slightly pressed the feather’s tip down and cut the extra with scissors. Then with cuticle cutters trim down the rest to the tip on my nail. Next add the top coat. 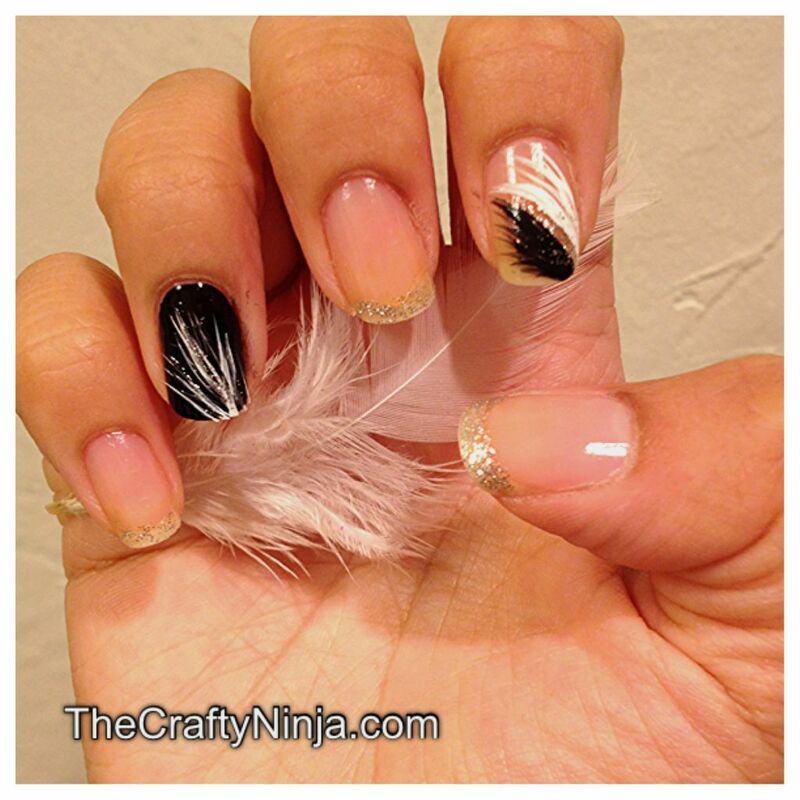 I went over the feather with glitter and white art deco nail polishes to make it stand out. 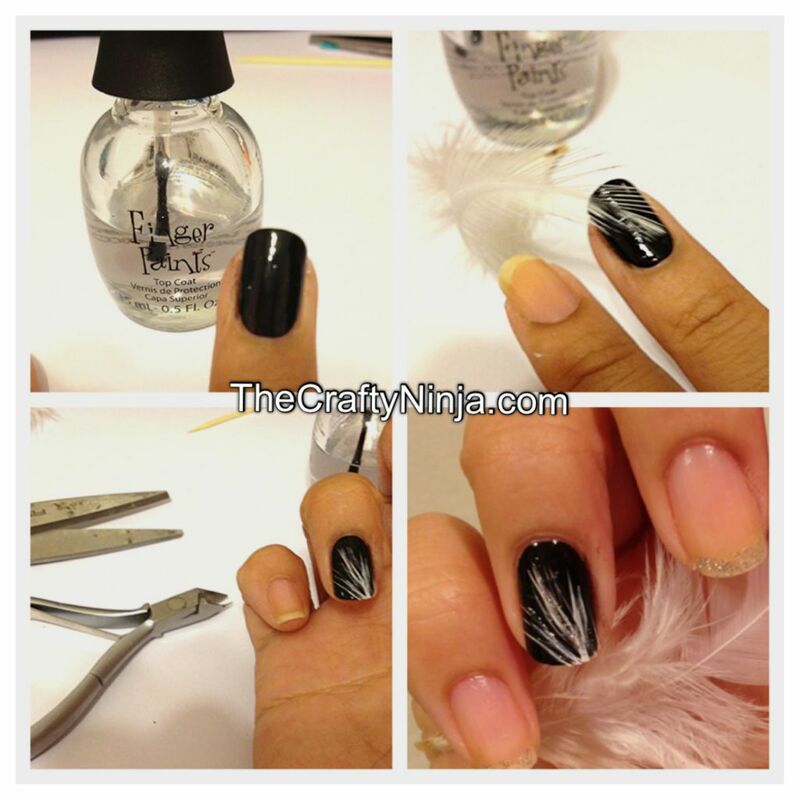 Next to draw my feather I painted all my nails with a clear base coat. Then with the glitter nail paint I painted a diagonal line from the tip out. With the black nail polish I drew a line under. Next I started adding line brush strokes to create the feather effect. With the white polish I drew a line above the glitter line, then repeated the same brush strokes. Here is a closer look at my feather nails and the art deco design nail polishes I used. Where do you get the art deco nail stripers? When you go to the post and click LA Art Deco Nail Polish under supplies needed link it to exactly where I purchased. Thanks for stopping by and I hope that helps!